Or best, depending on how you look at it—sorry, DoritoprincessXO What’s in a name? You see, DaddyzPrincess29*, we all have names. Good, noble names that took weeks, perhaps months to choose— from Hannah to Jordan to Lady Bird. And what we’ve discovered is that those names actually work best—better than usernames—when it comes connecting with people. So listen closely laidback___stu, because this applies to you — even if you are straight chilling right now on a basement futon. 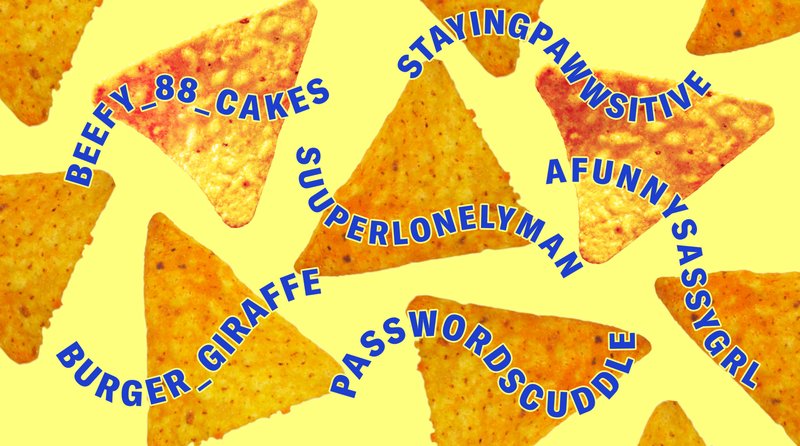 Ahead of the new year, we’re removing OkCupid usernames. It’s starting with a test group and will soon be rolled out to everyone on OkCupid, so all users will need to update their profiles with what they want their dates to call them. We know, this is tough to hear — especially for StayingPawwsitive, Dootdootledootd0 and Britney__Tears. It’s because, like the recent goodbye we said to AIM screen names, it’s time to keep up with the times. We want you, BigDaddyFlash916, to go by who you are, and not be hidden beneath another layer of mystique. Even if that mystique is crucial to you and your dating life, unicorn__jizz. A somewhat funny, but very germane take on online identities and usernames.